The company has cemented its presence among the successful Manufacturers, Suppliers and Exporters of Plano Milling Machine. The machines we make available start from 1800mm stroke to 8 meters stroke having width between columns and height under rails 900mm to 3000mm. 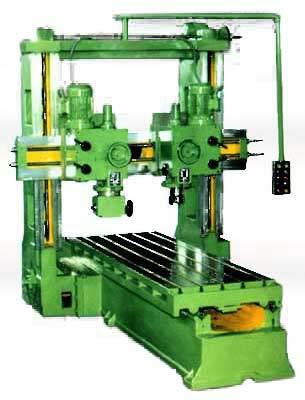 We offer Milling Machine with single milling head as with double milling heads on cross rails as well side milling heads on pillar. Buyers can obtain these at nominal rates from us.